Hello! Welcome to Fleur de Tissu !!! My name is Luda, and Welcome to my Blogs ! I am a master in making woman's clothing for over 30 yrs. I have a creative workshop in whith I create artificial flowers from all types of Fabric. 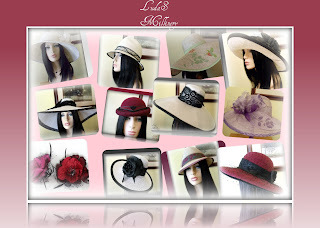 I open my Millinery Blog Welcome !!! Перейдите по этой ссылке и ознакомтесь с моими работами ! This is a Flickr badge showing items in a set called Hat Collection. Make your own badge here.